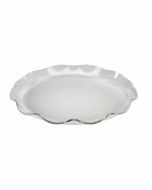 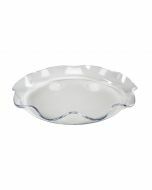 Clear 16.5" dia Fluted Tray. 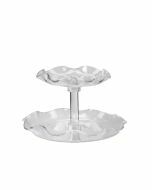 Styled to match our Glo-Ice trays for a sleek, elegant buffet look. 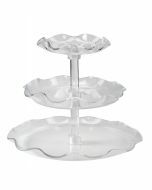 All 3 of our fluted tray sizes have endless display possibilities for your buffet presentation--limited only by your display vision and creativity.